History – Named after T. Duckett Jones (1899-1954), an American cardiologist who received his medical doctorate from the University of Virginia in 1923. With a keen interest in rheumatic fever and heart disease, he practiced at Massachusetts General Hospital and House of Good Samaritan in Boston for over 20 years. 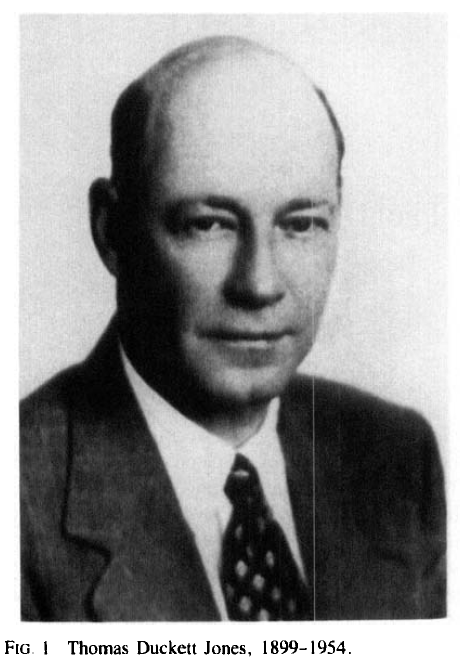 He became the medical director of the Helen Way Whitney Foundation to pursue his passion for public health, which led to one of the first tweleve appointments to the National Advisory Heart Council in 1948. He published his seminal paper entitled “The Diagnosis of Rheumatic Fever” in JAMA in 1944 which described these findings. Dr. Jones unfortunately died as a result of malignant hypertension in 1954 at the age of 55. White PD. T. Duckett Jones, 1899-1954. Circulation. 1955.